A good part of our Landlord Tenant practice involves negotiating leases for business and litigating disputes between Landlord and commercial tenants such as retail stores, office space, and display spaces. We represent both landlord and tenants and understand the issues and tricky bits of both sides. Since commercial leases do not have the same inherent protection of the tenant as with residential tenancies, it is of utmost importance that a lease for a business be reviewed by your attorney. In today's rental climate a person that wishes to sell a business that operates out of a leased space, will often sell the business to someone that wants to start a totally different business. In these cases which, are very common, the only thing a business has to sell that is of any value is the balance of the Lease. Since commercial lease can vary greatly, it is your duty if starting a business to carefully review your lease with an attorney and closely examine the terms of the lease. The devil is in the detail, for example a lease that calls for a late payment charge is only allowed in tenancy court if there are words that state that the late charges are considered rent. If no words exist than the Landlord cannot collect these charges. Another example is that the consent to assignment clause must have the words "which consent shall not be unreasonably withheld" if the lease does not contain these words it could give a landlord an opportunity to prevent the sale from going forward and hold the tenant up for a percentage of the sale price. Your job is to grow the business, tend to costs and move forward on solid ground with a solid lease. 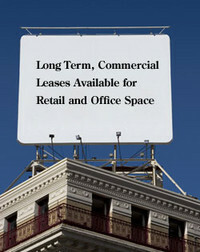 To set up a consultation concerning any commercial tenant matter, contact us online or call us at (201) 656-1000.